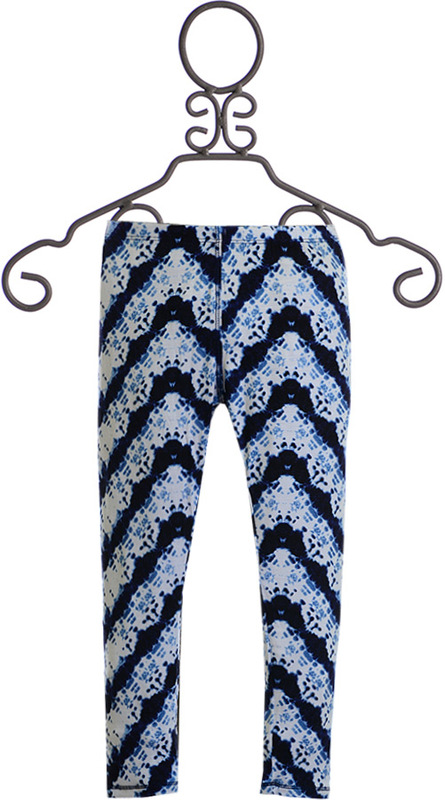 $17 - Matching perfectly to tops and dresses in the T2 Love cruise collection, these leggings come in tween girl sizes. The leggings have classic stretch for that comfortable fit everyone loves from their leggings. The chevron print is covered in dark shades of blue with a design inspired by tie dye. 95% Rayon and 5% Spandex. Hand Wash, Line Dry. Made in the U.S.A.